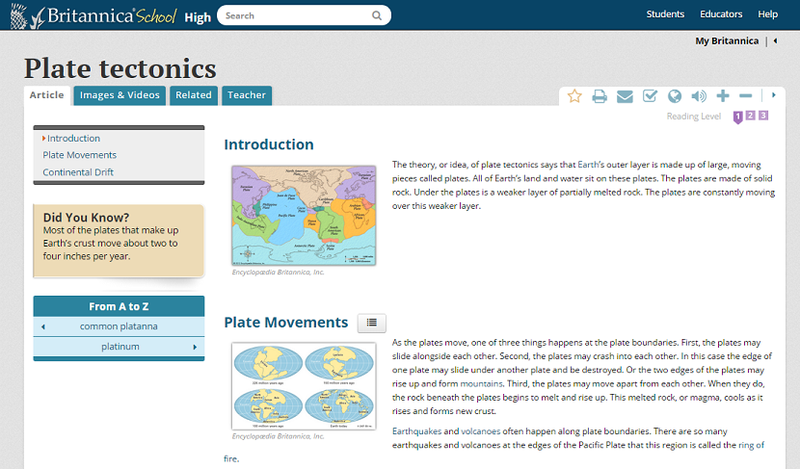 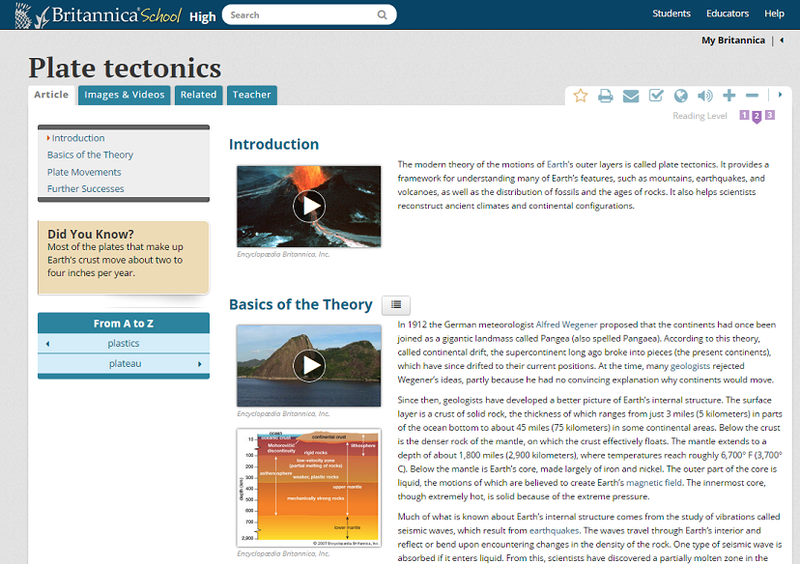 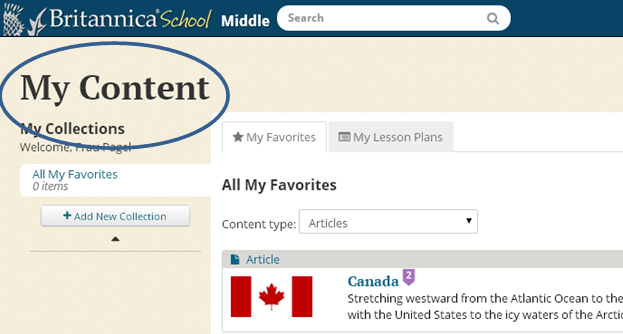 Britannica School content reflects the most up-to-date information available. 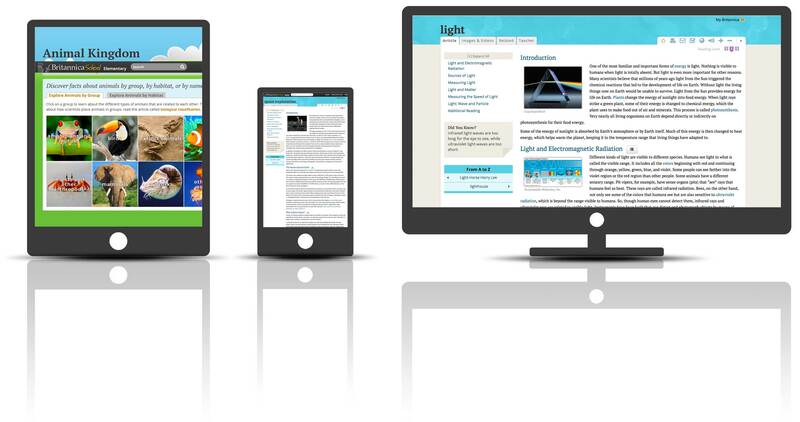 In fact, new and revised articles are added to our product every day. 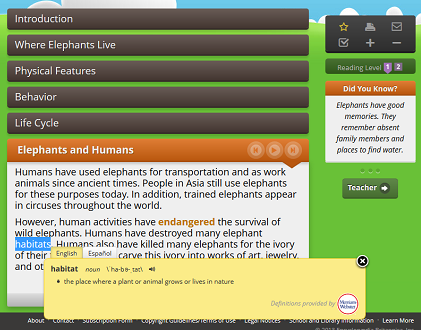 The content is also carefully crafted to meet students' needs at various reading levels and correlated to Lexile® reading scores. 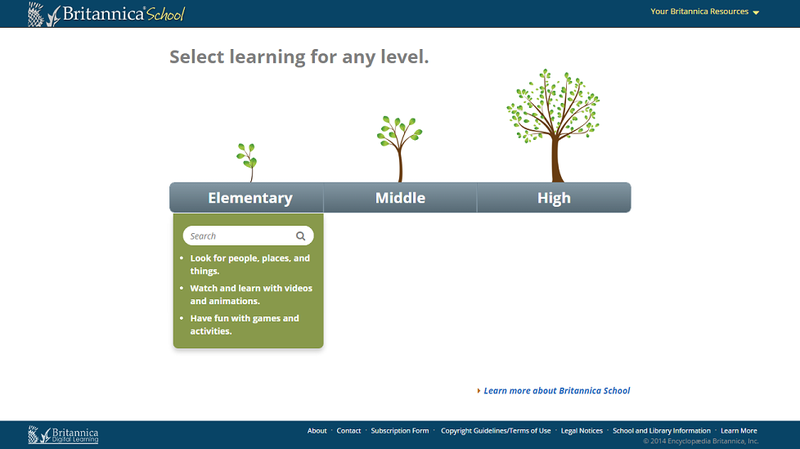 Articles for elementary school students have scores ranging from 600 to 1000, and those for middle school students range from 860 to 1360. 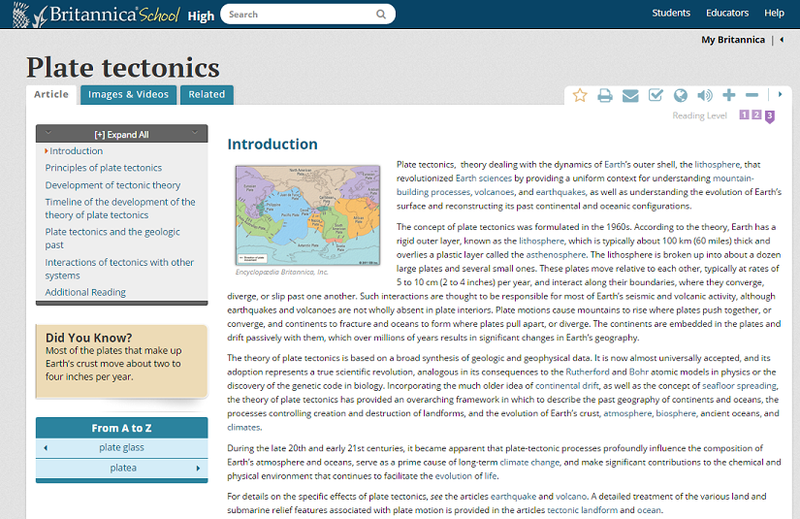 Access articles, multimedia, tools, and other resources to support student learning using an integrated curriculum of science, technology, engineering, mathematics and statistics.